Welcome! Brrrr, it's been fresh today. We hope this finds you in good health and adjusting to the change in seasons. At the Moral Fibre HQ we have been busy behind the scenes with the release of two new mouthwatering snacks and a gorgeous range of Christmas products sourced from local artisan producers. Talented, young Becky has just joined us (previously from a large corporate background) so we would like to welcome to her to our wonderful team of 'Moral Fibers'. 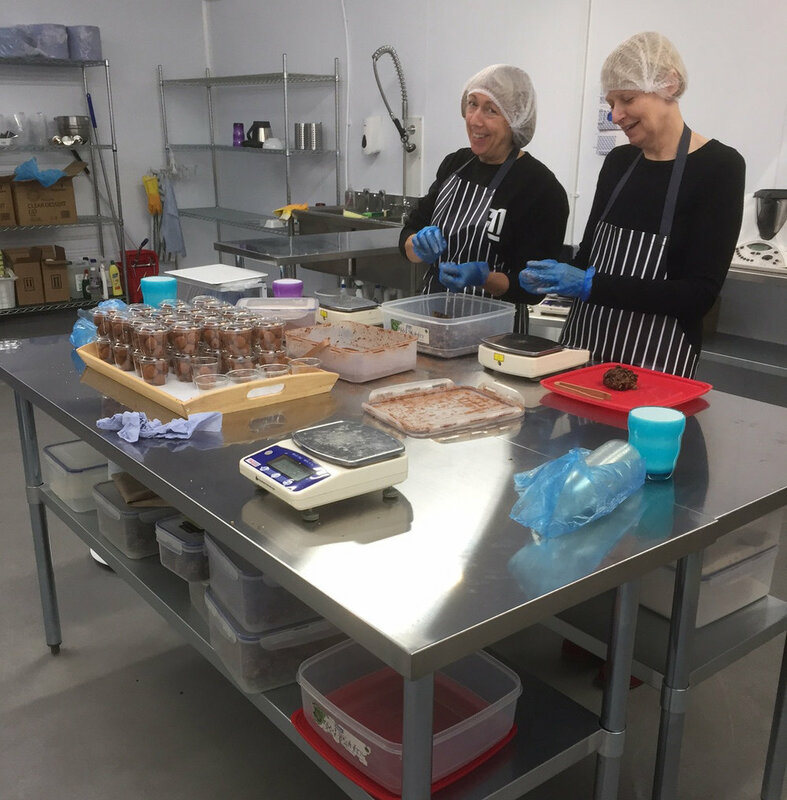 Last week, Moral Fibre HQ settled in to its new location - a brand new artisan workshop with commercial kitchen adjoining the enterprising Mead Farm Shop in the beautiful Chilterns. Look hard and you will see our red door in the middle of the photo above taken from the Tring reservoir. The Mead family have been farming in the same area since 1860 producing crops, beef and sheep which is sold in the farm shop as well as their cold pressed extra virgin rapeseed oil and many other locally sourced and specialty foods such as ours. We are joined by the boutique Puddingstone Gin and the highly creative, Sherry Hostler who makes award-winning, bespoke cakes. We look forward to having you on board as we journey forth in the wonderful world of food. Join us for our Official Launch at our new premises next Friday 11 November from 6 - 9pm at the Farm Shop as part of the Christmas Fayre celebrations. Please say hello, taste our products and warm up with a glass of mulled wine. Guided tours of our kitchen on request. Made with farm fresh beetroots, walnuts and a hint of rosemary. Brand new Christmas hamper. Photography by Hung Quach.